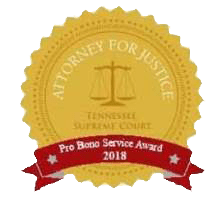 Concerns regarding the TN Administrative Appeals of Indicated Child Abuse – If you are wrongly indicated by DCS as a child abuser, you must appeal in 10 days. Not all indicated perpetrators currently have a right to access the administrative/judicial appeal process; (2) sometimes the rights are triggered years after the allegations were investigated which causes problems presenting evidence, etc; (3) some of the indicated perpetrators are minor children and special protections need to be in place for them; (4) many indicated perpetrators don’t have access to legal advice and representation related to the administrative appeals. (5) There may be a problem getting the “indicated” status changed in the DCS computer system when an appellant prevails in the appeal process. KLS can help you with this appeal.